The Government Contract Management Symposium (GCMS) is held annually by the National Contract Management Association in the Washington, DC metro area, providing training for professionals in both government and industry contracting. The two-day symposium consists of keynote addresses from contracting and acquisition leaders, nontraditional panel discussions, 35 breakout sessions, and many networking opportunities with 1,000+ attendees. This event is worth 12.25 CPE/CLP credits. 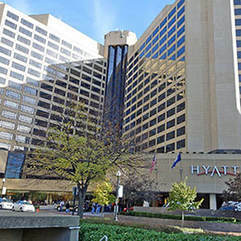 Event will be held at the Hyatt Regency Crystal City. Rooms must be booked by November 10, 2018 to qualify for the group rate. Book by phone: 1-888-421-1442. Mention "NCMA's Government Contract Management Symposium."